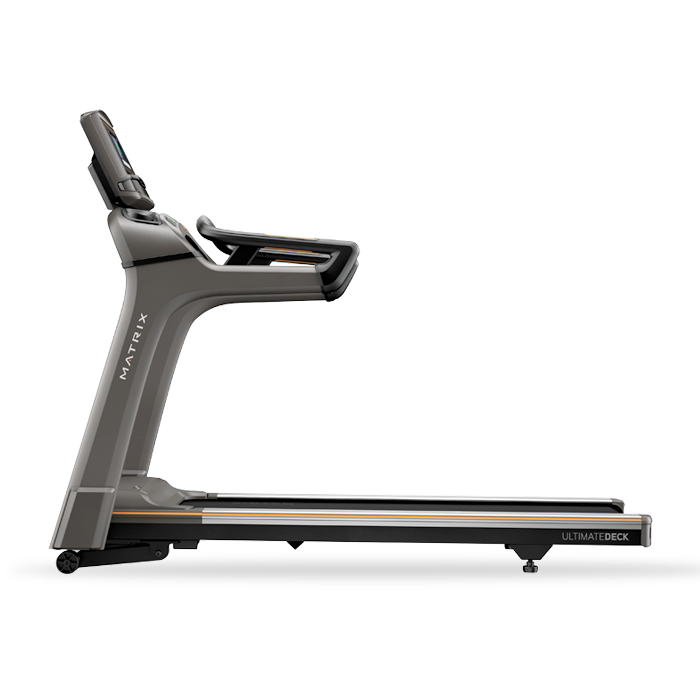 The Matrix T50 Treadmill is a top of the line machine with many features to enhance your workout and keep you coming back for more each time. 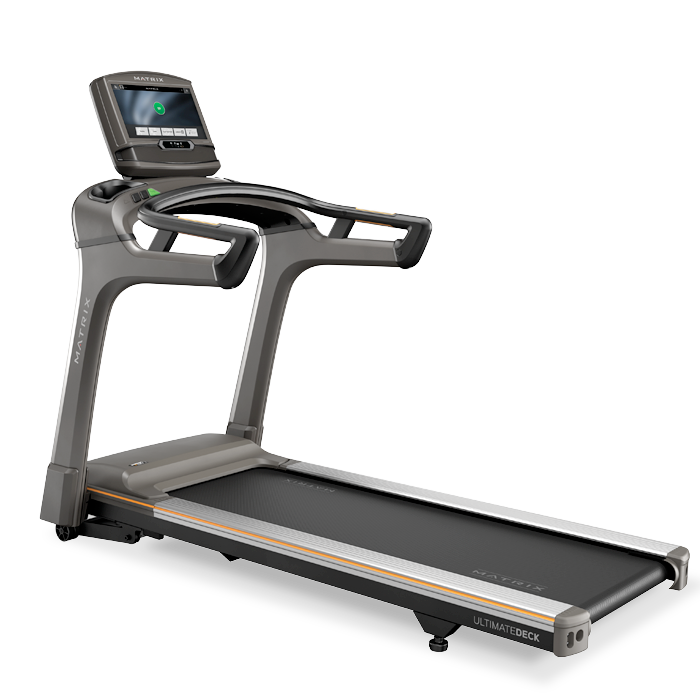 With a 3.25 HP DC Johnson Drive System, Ultimate Deck System, and 2-ply, 2.2mm belt, this durable treadmill allows for a great workout every time. 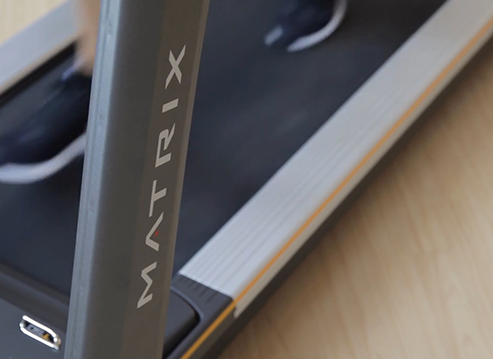 The cushioning provided by the Ultimate Deck System absorbs 30% shock compared to running outside on concrete allowing for a longer workout with less damage to your joints. The motor is among the most quiet and powerful that you can get while using a standard amount of power from a standard outlet. 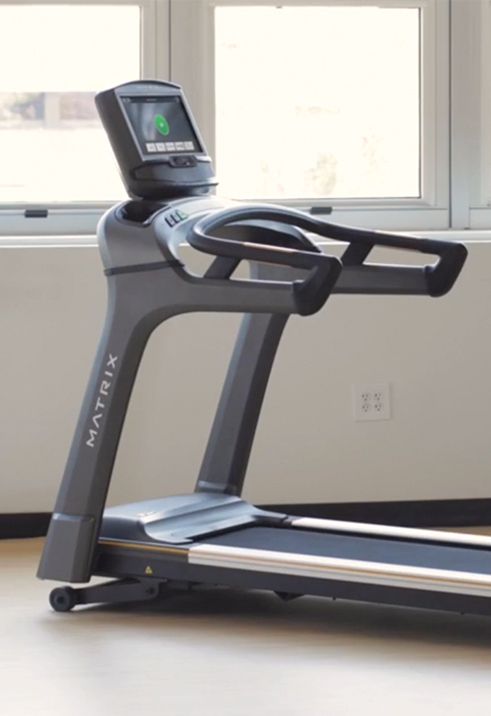 I greatly enjoyed the high incline this machine provides, and it reaches high speeds without making too much noise. 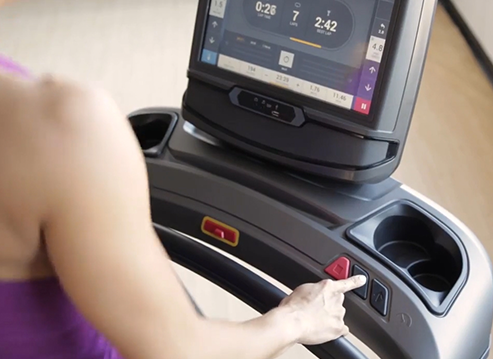 The XIR Console is an awesome feature that allows you to keep track of your workout while doing other things such as watching Netflix, YouTube, or Hulu+ on a large screen. This kept me interested since I usually watch my favorite shows while laying in bed, now I have no excuse for missing an episode to workout. The color and megapixel quality on this machine is great as well so you are not missing out on video quality while keeping up with your favorite shows! 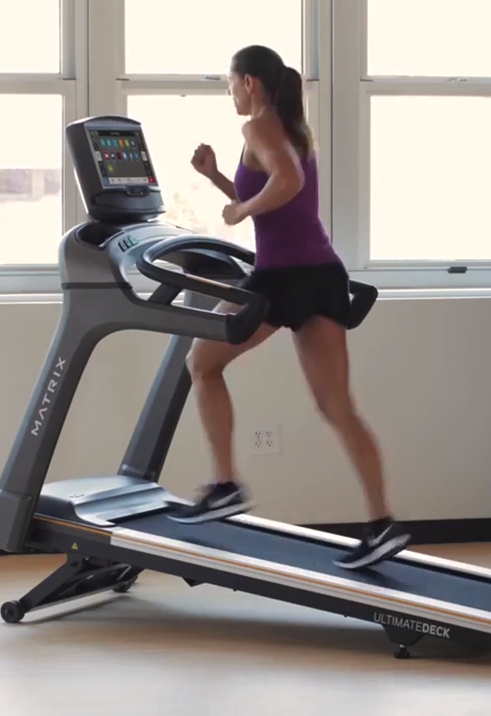 You can also browse Facebook, Twitter, and it even comes with a web browser to keep connected while you work out. The Sprint8 workout feature is great for HIIT lovers looking to get a quick and effective workout in in only 20 minutes. There are different workouts to choose from You can also change your workout whenever you would like without having to stop your workout. 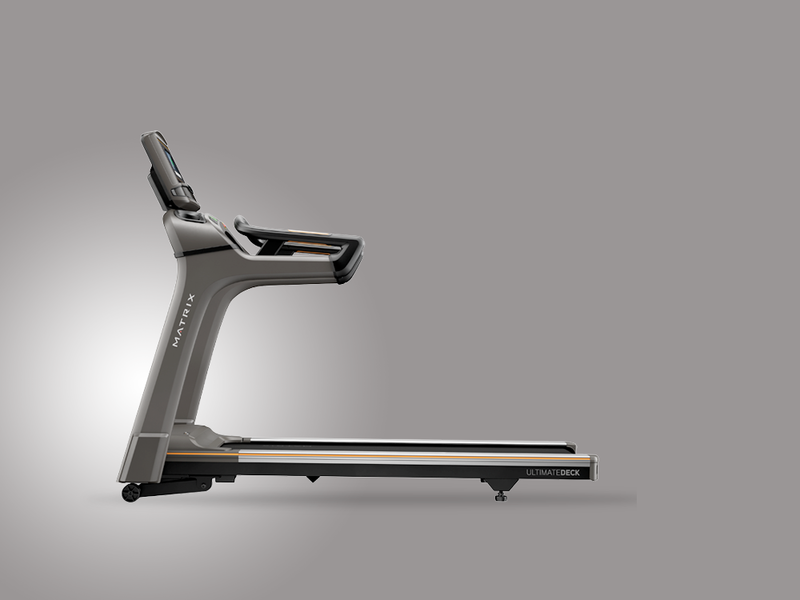 Overall, the Matrix T50 Treadmill is an amazing machine that provides both luxury and long-lasting durability. 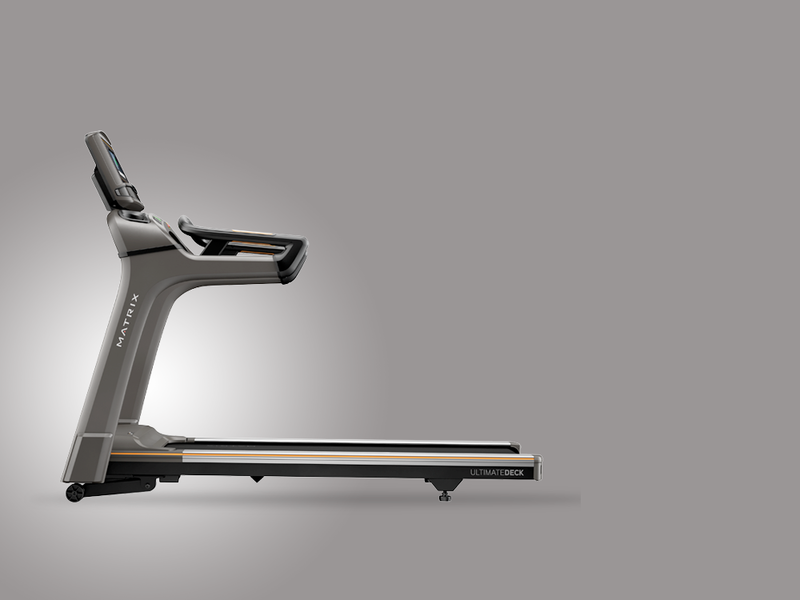 With its advanced technology and features, you will not get bored with this treadmill! Large, HD console with many entertaining features. The Sprint8 program is great for those looking for time efficient HIIT workouts. 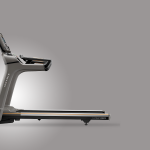 Shock absorption protects joints from the usual wear and tear of running on concrete. Has a quiet and efficient motor. Maintenance involves manual lubrication of the belt.